Leading Exporter of allen cap screw, pan phillips head screw, industrial screw, hexagon head screw, countersunk head slotted screw and phillips countersunk flat head screw from Mumbai. 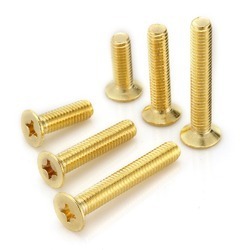 Enriched by our vast industrial experience in this business, we are involved in offering an enormous quality range of Allen Cap Screw. 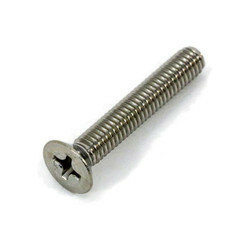 Our company holds vast experience in this domain and is involved in offering Pan Phillipse Head Screw. 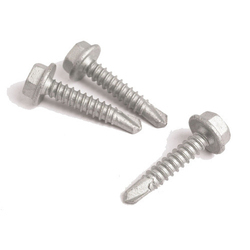 Keeping the diverse requirements of customers in mind, we are instrumental in providing Industrial Screw. We have gained a remarkable position in the market that is involved in offering Hexagon Head Screw. Matching up with the requirements of our clients, we are involved in offering Countersunk Head Slotted Screw. Manufacturer, Exporter & Suppliers Of Phillips Countersunk Flat Head ScrewIn India. 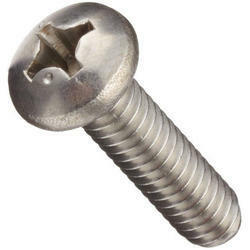 These machine screws are used with nuts or directly into a female threaded receptacle to fasten metal parts together. They are installed into an existing or predrilled, pre-tapped hole and are fully threaded. Measurements are made from the underside of the head to the tip of the screw to obtain fastener length. If nuts are needed, use with nuts of the same material, finish, and threading for proper fit. Packaging Details: Screw will be provided with marking & will be packed in a gunny bag with stickers written with grade/ size & quantity. 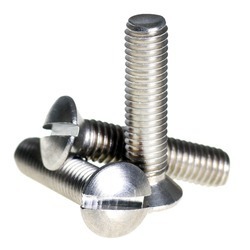 Being a well-distinguished company in the market, we are into offering Countersunk Head Screw. 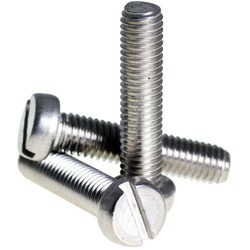 Our company has gained name and fame in presenting Cheese Head Slotted Screw. As per the needs and requirements of our clients, we are involved in providing Pan Head Slotted Screw. 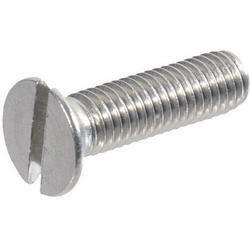 We are one of the most reliable companies in this domain and are into offering Countersunk Raised Head Slotted Screw.